If you're a complete klutz, you could do with Cologne designer Thomas Schnur's Rubber Lamp. Not only does it look awesome—you'll never break it, either. 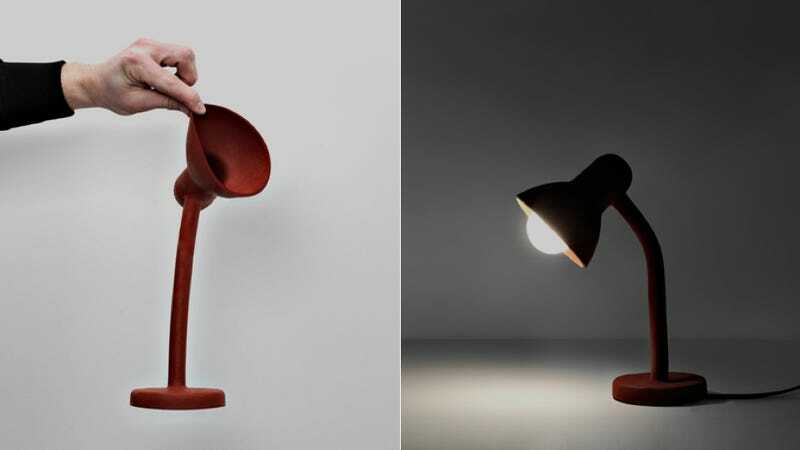 ‘Rubber Lamp’ is created by the interest in rubber and the in and outside of products... The cover protects the inner components and gives the lamp an organic and warm attitude. The shape of the lamp preserves the original form because there is no reason to change the anonymous designed shape.